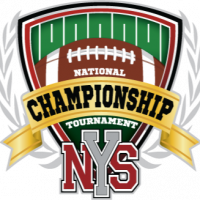 This is the player verification/certification site for the 2019 NYS National Championship Tournament. Once you have created your team CLICK "JOIN" (below) to add your team to the division and invite all of your players to join your team. This is part of the REQUIRED registration process for joining the 2019 tournament. Any team not FULLY verified will not be able to participate. THIS YEAR EVERYONE GETS A DISCOUNT; WE HAVE REDUCED THE TOURNAMNET FEE TO JUST THE $995.00 (FLAT) FEE. HOWEVER, YOU MUST PAY IN FULL BEFORE YOU CAN JOIN THE TOURNAMNET. For the 2019 NYS Tournament we are requiring that every participant and coach have an NSID digital ID card. Your team must be verified before June 15th in order to participate in the tournament. Once each of your invited participants have met all of the requirements satisfactorily, they will individually receive a GREEN CHECK and be issued a unique ID card and ID number (they will need that number in order to join your roster on the Tournament Website) and once they ALL get their GREEN CHECKMARKS, you, the coach, will receive the "TEAM SUCCESSFULLY VERIFIED" CONFIRMATION. You will have to set up your team in BOTH, NSID and Event Connect/Room Roster as they are not related to each other. NSID is certifying the participants and Event Connect is handling the tournament registration.